It was a dark and stormy winter….and my hens were bored. Here in the Pacific Northwest, our hen yards can get pretty mucky and the chickens tend to turn to deviant eating behaviors, like, well, eating their own eggs. There, I said it. Gross! That’s like….oh, never mind. We can’t allow this to happen, because the purpose of backyard chickens is their yummy eggs, a critical part of our family’s mostly vegetarian diet. (Our hens do produce other products for us, like amazing compost.) But no, we won’t be allowin’ them hens to eat their eggers. I found a great solution to deter an egg-eater, right in my compost bucket: An avocado pit! For years, I’ve used dummy wooden eggs, plastic easter eggs, egg-shaped stones, golf balls and pingpong balls as dummy eggs, to deter the little peckers (egg-eaters) from pecking apart their eggs. Dummy eggs are just that, fake eggs that chickens think are real (think, bird brain.) They peck ’em and realize they can’t break ’em and therefore we stop the deviant eating disorder in its tracks. Problem solved. So, don’t go and buy fake eggs. Please. Just use an avocado pit in your nest box. Deploy 5 of them if you’d like, and your egg-eater will get frustrated when the avocado pits won’t crack and produce an egg-licious mess in your laying box. Enjoy your guacamole knowing your avocado pits can be put to use! Arugula likes me. For some reason — likely the soil on our property and the not-full-sun exposure — arugula, that spicy green also known as rocket, grows profusely in our garden. We never have to plant it because it just keeps sprouting year after year in our vegetable beds. I weed out the bed interiors and let the arugula grow along the edges, creating a green perimeter where kale, peas, and Egyptian walking onions happily grow in the middle. But this spicy goodness only lasts for the summer months and we dearly miss arugula the rest of the year. I make as much arugula pesto as I can and freeze it in small jars for pizza and pasta topping for later. Yet, since I have so much of it, and have been giving as much as I can away, I’ve been searching for a way to preserve arugula, so we can enjoy our it in the cold months of the year. Frozen arugula doesn’t taste like arugula and doesn’t work well in smoothies, either. Blanching it takes the verve out of it, too. But, preserving arugula in olive oil, and freezing it, helps seal in the flavor! Here’s how: I use a pie tin and chop as much arugula as I can to fit just below the rim of the pie tin. I then pour in extra virgin olive oil until it’s about an inch deep and put the tin in the freezer. When it’s totally frozen, pop your tin out of the freezer and break your frozen oil/arugula into chunks that you can then store in the freezer in freezer bags or a large glass jar. I never buy freezer bags, but just reuse ones that I acquire through other frozen items we get at the store, or I double bag some Ziploc bags. Please don’t buy plastic bags, as there are so many in our landfills, we can simply make do with what we have, or ask for them on our local Buy Nothing groups. So, what do we do with our frozen olive oil/arugula chunks? In the winter, I use one at a time, in salad dressings, on top of pizzas, in pastas, salads, and stir fries. The arugula still has its punch and my crop is extended into the heart of the cold months, reminding me of the dog days of summer. For years, I’ve pulled it out of my vegetable garden, and have given it to my happy hens who devour it immediately. But this year, I’m eating as many weeds as I can, that are within just feet of my front door. For this, purple deadnettle is your friend. It’s a superfood, with known anti-inflammatory properties! I always let it flower because I know it’s one of the first spring flowers the honey bees use for nectar and pollen. Purple deadnettle looks a little like henbit, which is also edible, so there’s little chance of you getting a stomach ache from this beauty. That’s it! I throw a sprig of mint into our pretty glasses as garnish and the kids drink it down. When it ends up really thick, we use spoons and eat it like ice cream. Often, our bananas and berries are frozen, so this serves as a meal or an ice cream treat for the whole family. You probably know this weed well, for its clingy tendencies. In the Northwest, we affectionately call it sticky weed. It comes in the door on our dog, our socks, and the backs of our sweaters. Also known as clivers, cleavers, goosegrass, catchweed bedstraw, or sticky willy, this little bugger with tiny hooked hairs that’ll stick to you better than velcro, now holds a special place in my kitchen culinary arts: I use it in a simple spring cleansing drink, thanks to the advice of a friend. I use it as a spring “cleanse” that might be good for my kidneys but just tastes wonderful, and excites my need to get the most out of the plants around me. As I weed it out of my garden, I set it aside to be washed and then stuffed into a jar filled with fresh water and throw it into the fridge. Twenty-four hours later, we have a refreshing sticky weed infusion that tastes like spring green. It thickens the water a little, too, (or maybe I’m just imagining that) making it feel silky on its way down. We have hard water in these parts, which means that whenever it sits around, like at the base of a water faucet, you get calcium/mineral buildup. Here’s what ours looked like a few hours ago. Ew! Thanks to some homemade citrus vinegar that I made last month, I now have a power cleaner that’ll cut through the boilerplate mineral deposits found around our sinks, shower, and bathtub. This mineral deposit is hard and sticks like glue. First, to make the citrus cleaner, just throw your orange peels into a mason jar and pour in some distilled white vinegar to cover the orange rind. Keep adding orange peels until the jar is filled, adding vinegar to totally cover over the peels. Screw a lid on the jar, and let it sit for a month with all of the peels totally submerged. Remove the orange peels and the remaining liquid is your all-purpose citrus cleaner that’ll work wonders in your home. I dilute it with water 1:1 into a spray bottle and use it wherever I’m cleaning: countertops, windows, ovens and stoves, bathrooms. But the kitchen sink faucet was where I hit paydirt. This stuff cut through that mineral deposit and enabled me to get my faucet back to looking like new. Just spray the 1:1 solution on your affected area and let it set for a few minutes and rub off. I had to repeat this several times, but it eventually removed the white caked-on material. So the next time you eat an orange, just save those peels, stuff them into a jar and cover with white vinegar, adding more peels and vinegar until the jar is full. After a month, you’ll have a citrus cleaner ready for your toughest jobs. We salvage string. Don’t you? When I see rolls of string sold in the hardware store, I wonder who buys it? String is freely available if you just know where to look for it. The feed we buy for our chickens comes in large paper feed bags laced up with string. When we pull the string to open the bags, it comes out freely and we have plenty to last us throughout the year. We roll it onto a small roll of paper and it goes into the string box. I found an old wooden box that was covered with Christmas wrapping paper a few years ago. This box has been salvaged for the use of storing our saved string. So, shoelaces are salvaged and washed, bungee cord gets thrown in there, craft string, a few pieces of yarn, homemade “plarn,” cordage, twine, even pieces of candle wicking that hasn’t been put in wax go in there. Whenever something has reached the end of its life and we need to throw it away, any string on it gets salvaged and thrown into the string box. String is a staple for my gardening, as I use it to create pea ladders between woven sticks for my growing pea shoots, or to hold the hellebore up when the heavy blossoms weigh down the large plants. The whole family knows where to go when they need a piece of string or shoe lacing to make a repair and tie together a few things. When my son was 5, he connected his favorite truck to its trailer with string when the hitch broke. String is the stuff of life, affording us everyday repairs to sew-up, tie together, wrap around, hold up, and weave anew. Save your string, all forms of it. Don’t throw it away. And find a pretty container to hold it, for all to access for the projects that will come. 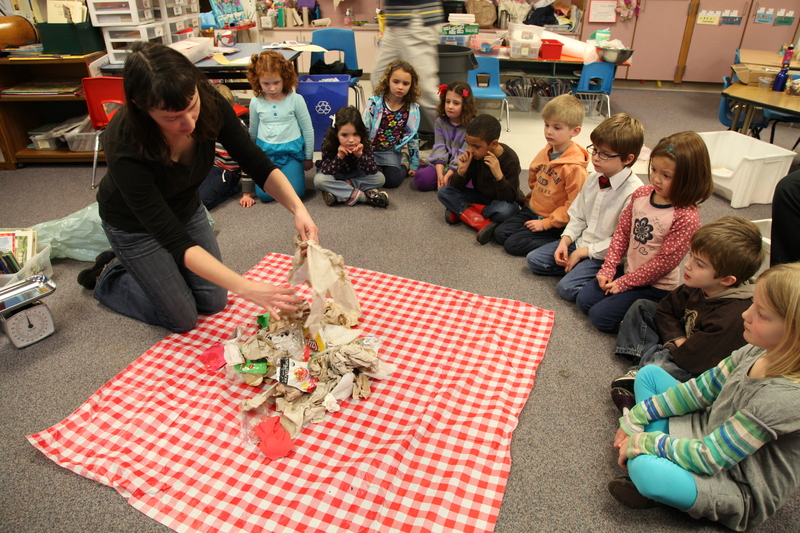 Conducting a classroom waste audit is a hands-on way for kids to learn how to reduce their waste at school. 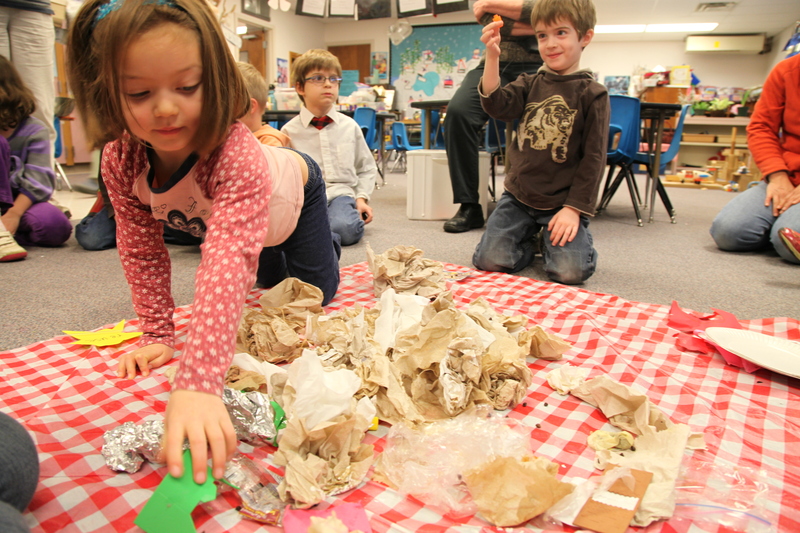 Whether kindergarteners or highschoolers, waste audits resonate with students of all ages because everyone handles trash on a daily basis. 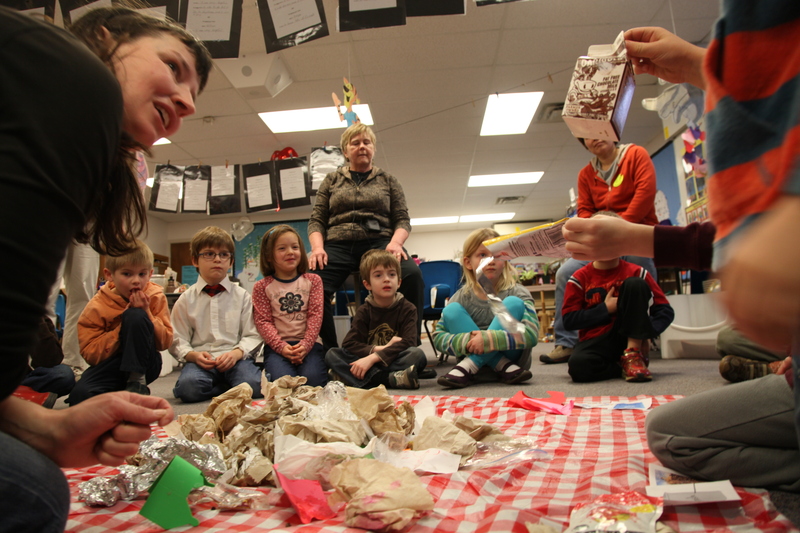 Zero waste in schools takes commitment from both teachers and students and we’d like to be your hub for learning the process and obtaining the tools necessary to make your waste audits a success. 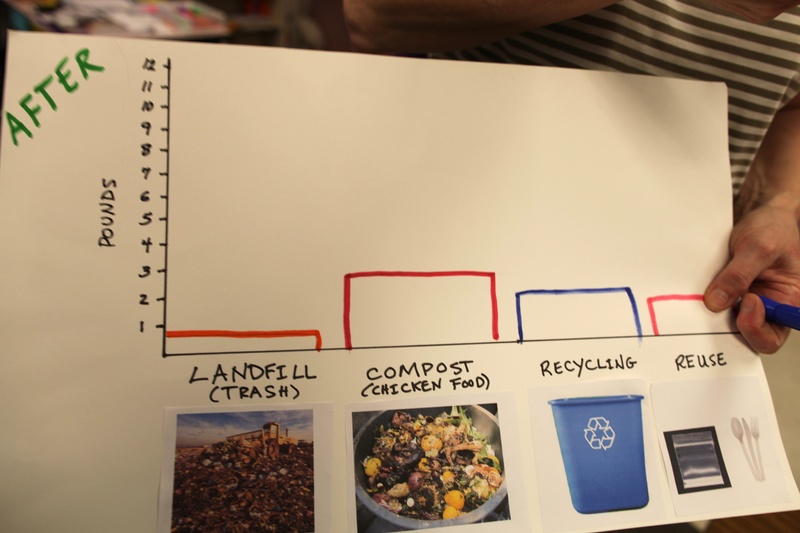 This simple guide is an easy resource to get you started with waste audits in your classrooms or schools in your community. 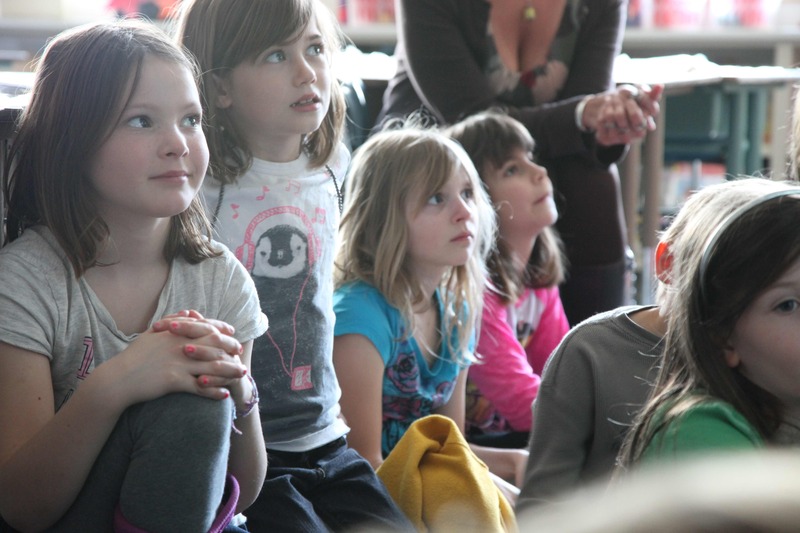 If you have any questions or need any further resources, don’t hesitate to contact us at Trash Backwards, and the following video is to inspire you to get into classrooms, have fun, and teach students these simple steps to school waste reduction! If you’re not a teacher, you’ll first need to obtain permission from the school to do your audit. 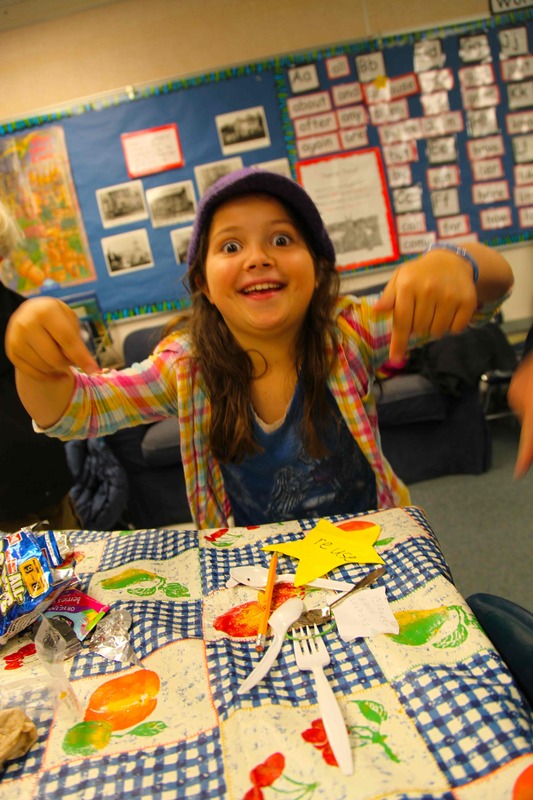 Meet with the school’s principal or director and pitch the idea. If you have to get permission for a larger body, like a school board, here’s a sample letter you can edit to make the formalities easy for you. 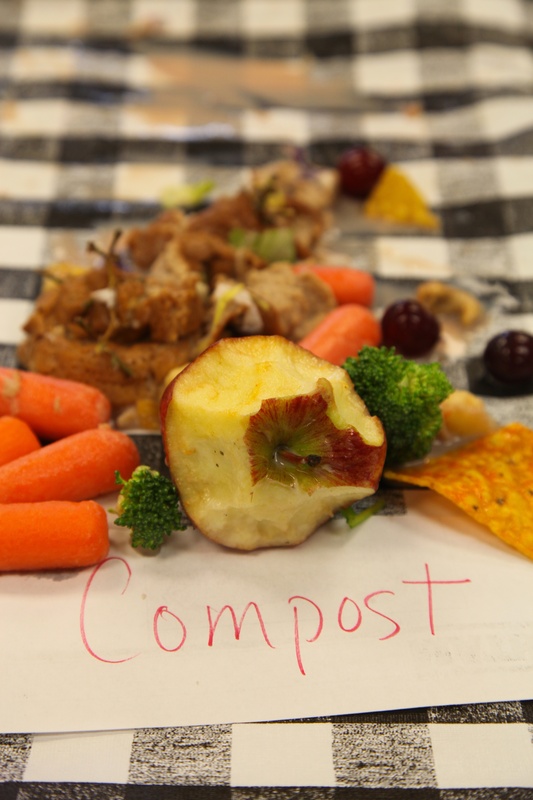 1) Save 1 days’-worth of classroom trash, including food waste. 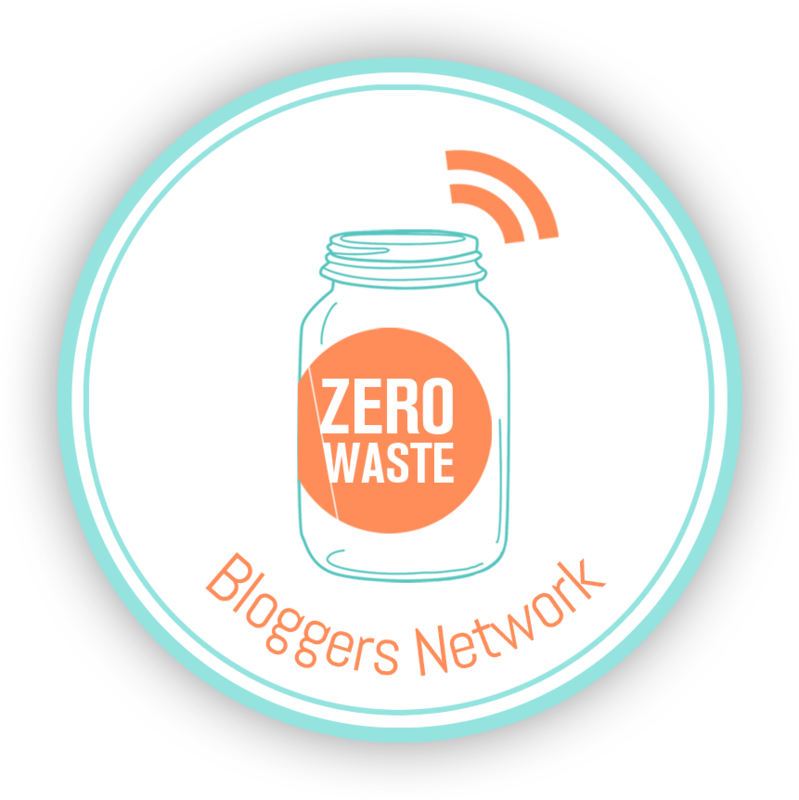 2) Tell your personal story about why you’ve discovered how important it is to reduce waste. You can do a slideshow, showing the students pictures of their landfill, how a landfill (or incinerator) works, how far away it is, and how trash is transported there. 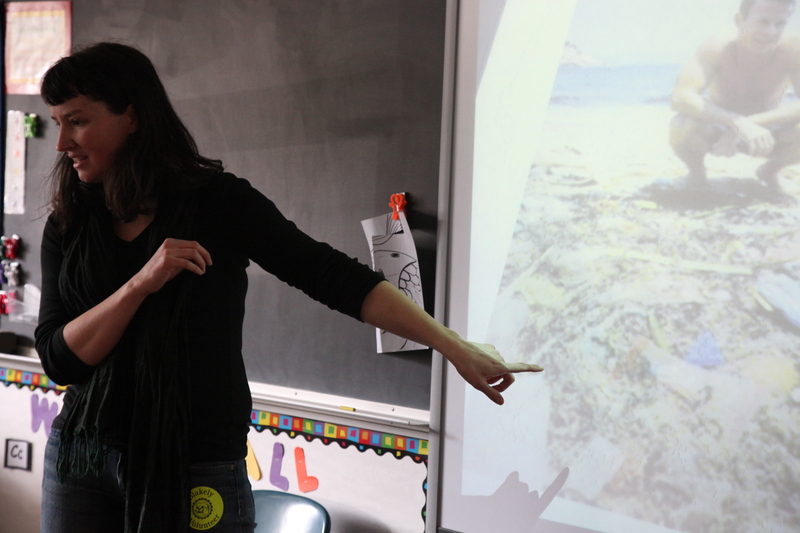 We have a movie about how our children discovered plastics washing up on their beaches that you can download or play off the web here as a teaching tool, showing how kids can take action, learn where the ocean plastics are coming from, and what they can do about it. 3) Weigh your recyclables and trash separately. 4) Spread it all out on a tarp. 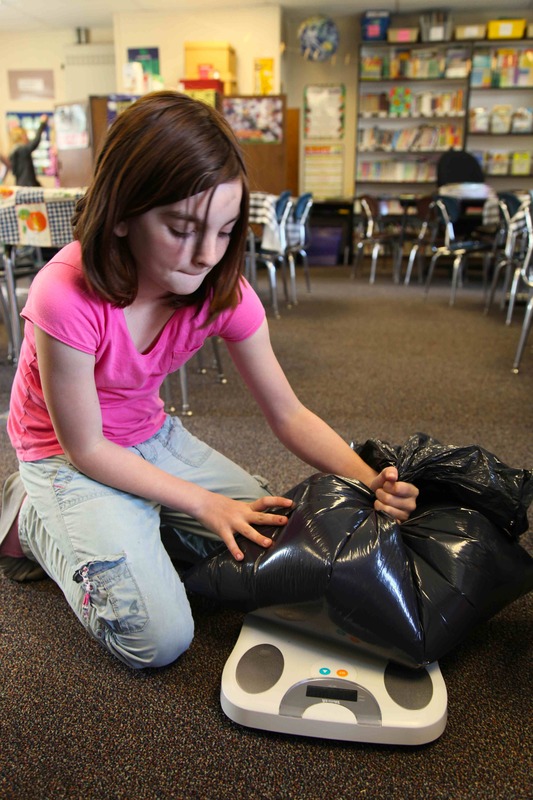 6) Teach recycling: Discuss what goes into your local recycling and help the students identify those items. 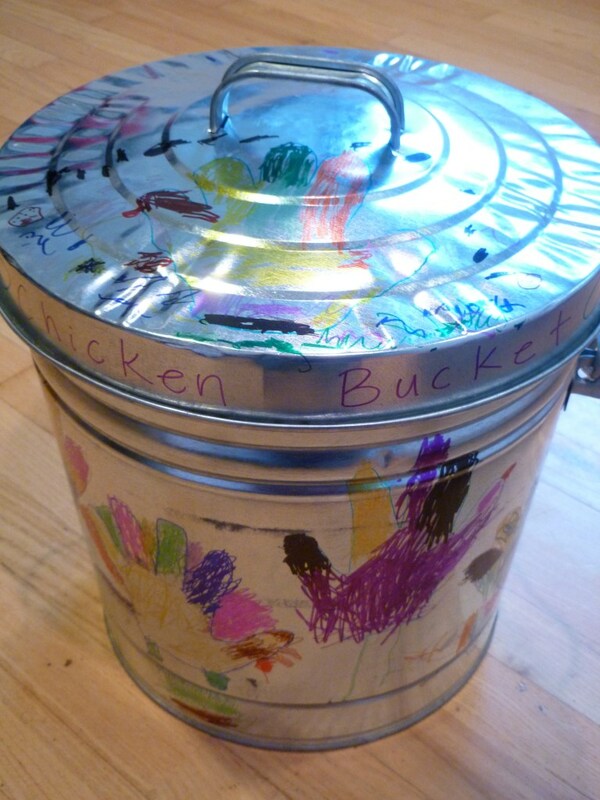 7) Start a composter, vermicomposter, or chicken bucket. 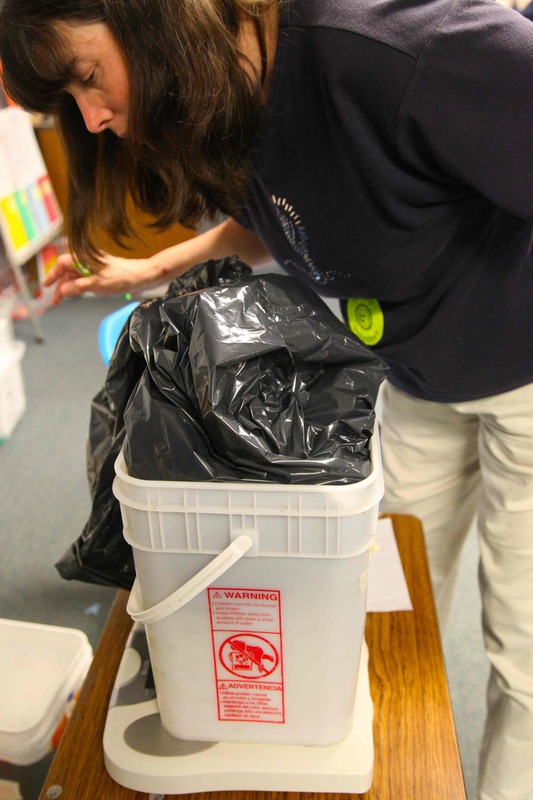 Some classrooms or schools have composters or vermicomposters outside. If not, find a volunteer family that will take the organics home to their chickens or compost bin. 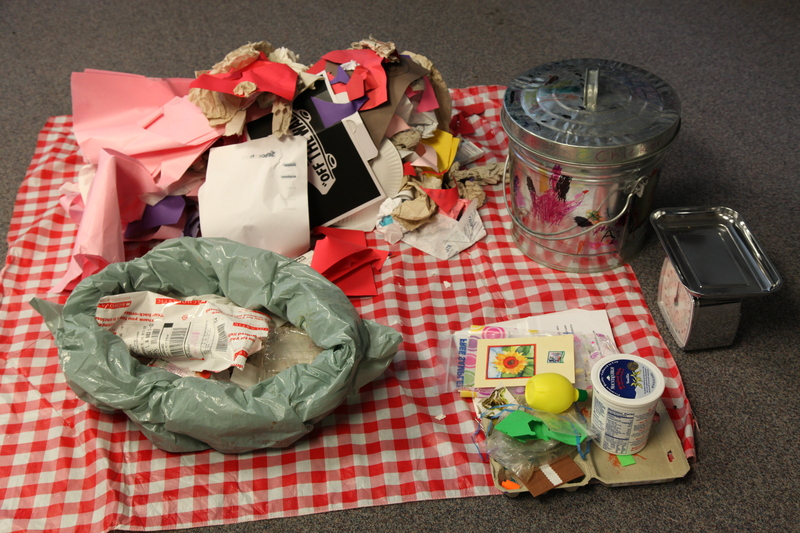 8) Teach reuse: Save items like Ziploc bags, rubber bands or paper clips that were in the trash but can be reused. 9) Weigh your newly separated piles of trash, compost, reuse and recycling. 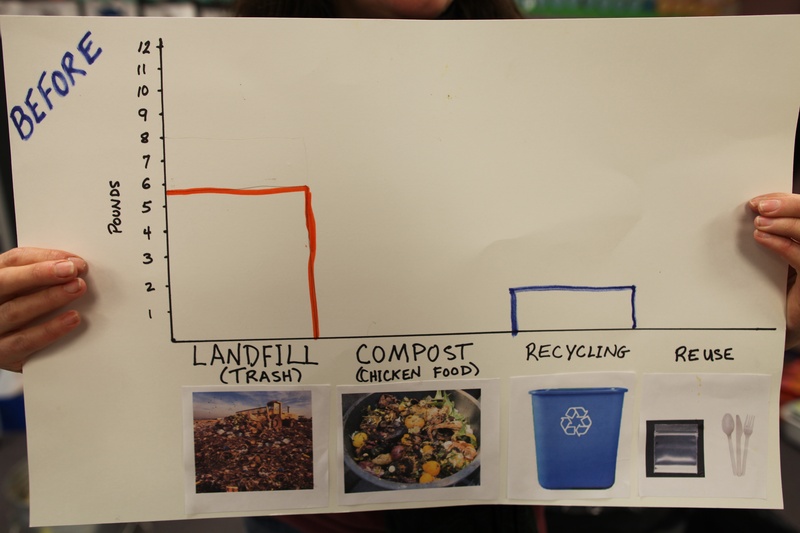 10) Celebrate your results by making a graph so the students can see the change in landfill trash versus recycling and compost. The decrease in landfill trash will be surprising. 1) Place pictures of recyclables on the recycling bins as a reminder to students. 2) Move a recycling bin near the paper towel dispenser (wet, clean paper towels can be recycled). 3) Start a compost bin, worm bin or a chicken bucket. 4) Start a reuse box as a place to put items that can be reused. 5) Start other recycling streams that don’t go in the recycling bin but can be taken to other recycling facilities, like plastic bags (local supermarket) and juice boxes (a local Terracycle brigade). Please feel free to contact us with questions or needs. We hope to be your go-to school waste audit resource! And if you’ve conducted a waste audit yourself, do send us a note to let us know how it went.